Best. Chocolate Chip Cookies. Ever. ...Also, Eggless. 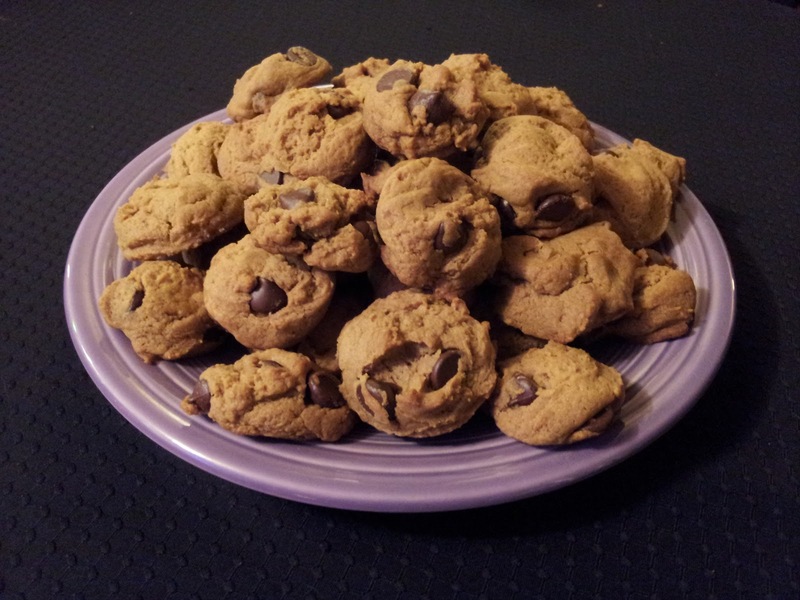 My grandma used to make the perfect chocolate chip cookies, but I never got the recipe. 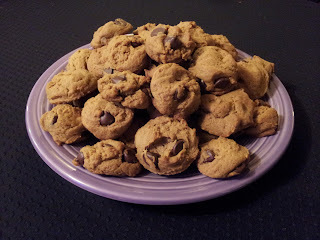 So, I've been experimenting with various chocolate chip cookie recipes over the years and I think I may have stumbled onto the most damn delicious chocolate chip cookies I have ever had. 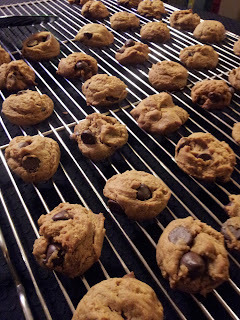 In searching for the elusive grandma cookie recipe, I remembered 2 key ingredients: shortening and molasses. 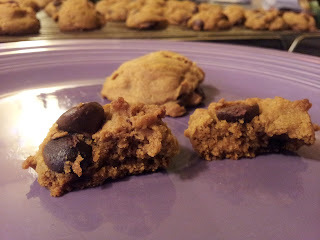 I can't even tell you how happy I was to find this recipe: Soft & Chewy Chocolate Chip Cookies from Pastry Affair. However, something was still missing; all that shortening and no butter left me craving that buttery flavor. I told myself next time I make chocolate chip cookies, I'll substitute the shortening for the same amount of a 1:1 mix of shortening and butter. Unfortunately, when next time rolled around, I was lacking in the butter department so instead of a 1:1 ratio it ended up being a 1:11 butter to shortening ratio, but it still worked marvelously well. Nonetheless, if I had enough of both, I would make it 1:1 next time simply because the shortening seems to make it thicker whereas the butter makes it chewier so it's all about finding the right balance. The 1:11 ratio tasted great, but needed to be slightly less thick yet slightly chewier. Regardless, I also didn't have any eggs (or desire to go out in the cold rain to procure said eggs) so I Googled egg substitutes for cookies and found 3 options: milk, yogurt, or *drum roll* cream cheese. 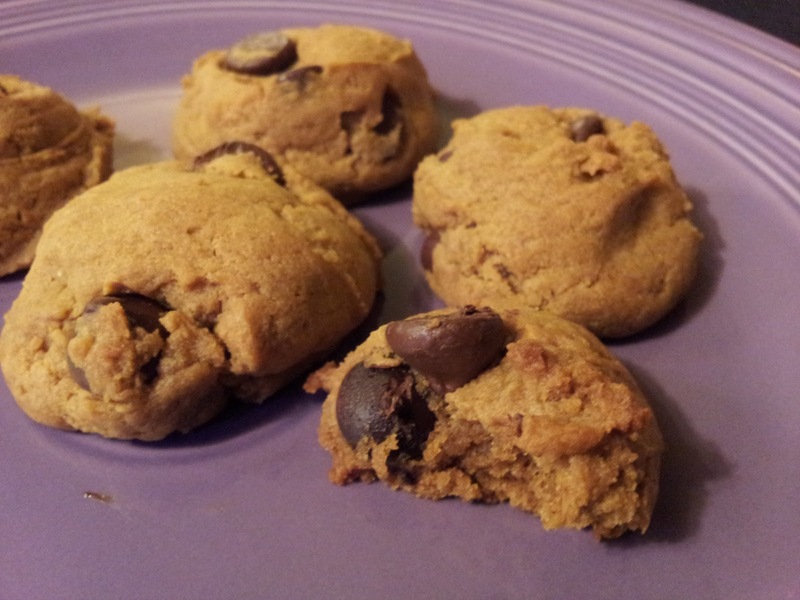 Cream cheese in a chocolate chip cookie? Seriously? Yuck, right? Well, as luck would have it I also had no milk or yogurt, but I did have cream cheese. 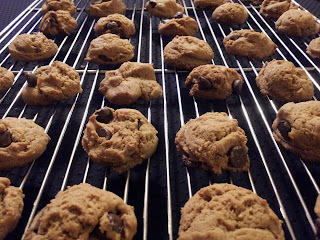 Lastly, I usually use the standard sized chip in either semi-milk chocolate or carob, but I had a half bag of large dark chocolate chips leftover from a previous experimental recipe, so I tossed those in and I must say that the larger size chip plus the richness of the dark chocolate really added to the overall flavor of the cookies. In a large bowl, mix the granulated and brown sugars together. Add in the butter and vegetable shortening. Cream together until smooth and well blended. Add in the cream cheese and continue blending well. Pour in the vanilla extract and mild molasses. Mix well. Meanwhile, in a separate, smaller bowl, whisk the baking soda, salt, and flour together. Then add the flour mixture to the batter slowly, stirring as you go. Mix in the chocolate chips. 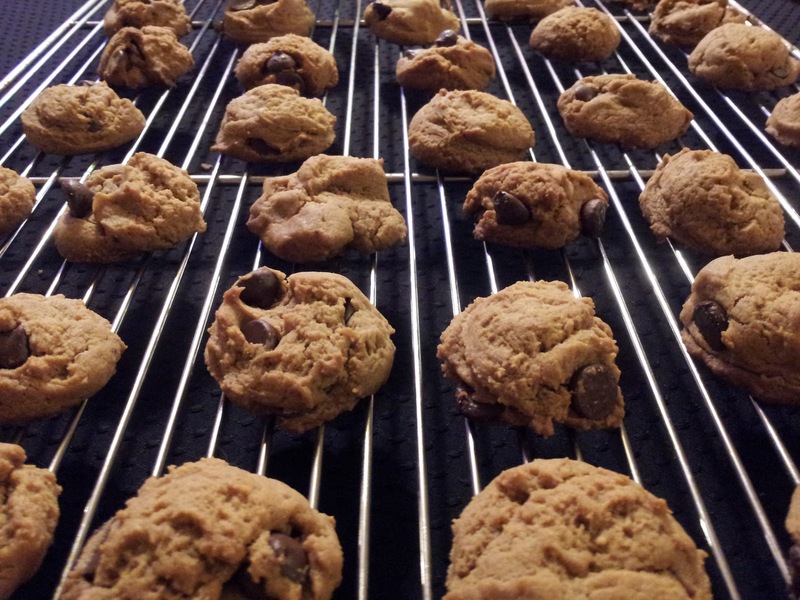 Scoop tablespoon size cookies about an inch apart onto a baking sheet. Bake for 10 minutes.